Woolies wants you to experience the most amazing Heritage Day, and to help with that they’ve put together the essential braai kit, perfect for any braai master. If you would like the chance to win this hamper consisting of marinades, braai tongs and more, simply go to the Woolworths post on the Afternoon Express Facebook page and tell us how you’ll be spending your Heritage Day, remember to be creative and always bring it back to our amazing South African heritage. Competition closes at midnight and the lucky winner will be announced tomorrow during the live show. Comment on the Afternoon Express competition post and tell us how you'll be spending your Heritage Day. 1.3. Important clauses which may limit our responsibility, place an obligation on you to indemnify us, involve an acknowledgement of any fact or involve some risk for you will be in bold and italics. You must pay special attention to these clauses. Entries for the Competition will open 21 September 2016 at 17:00 and will close at midnight 21 September 2016 ("Competition Period"). 4.1. Entrants must reply to the competition post on the Afternoon Express Facebook page. Entrants must Comment on the Woolworths Heritage Day Facebook post telling us how they will be spending their Heritage, a comment that is most creative and linking to South African Heritage will be selected as a winner. 5.1. On 23 September 2016, a panel of judges, who are appointed by us, will select  persons from all valid entries received during the Competition Period as the winner of the Competition (“Winner”). The Winner will be determined in the sole and unfettered discretion of the judges as the entrant who gave the most entertaining and/or interesting answer to the question referred to in clause 4.1 above. You acknowledge and accept that determination of the Winner will be at sole and unfettered discretion of the judges. 5.2.The Winners will be contacted by a representative of the organisers via the social media platform on which they entered. 5.3. If the Winners have not replied to our notification messages by 14h00 on 22 September 2016, and after we have made at least 2 (two) attempts to contact the Winner, the Prize will be forfeited and we shall have the right to select a different winner on the same conditions except that we shall only be required to make one attempt to contact each further winner selected. 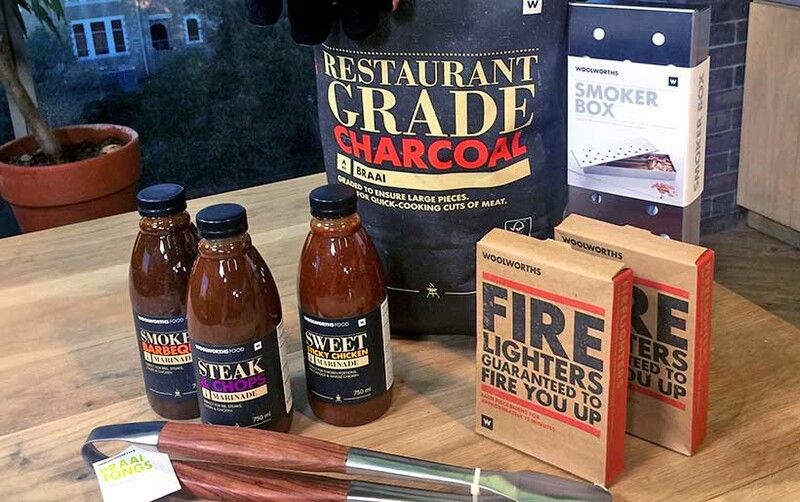 Woolworths Restaurant Grade charcoal – R56.95 To the value of R1000.00] ("Prize").